Danica Lo / Personal: Does this count as an "interiors" story? Does this count as an "interiors" story? 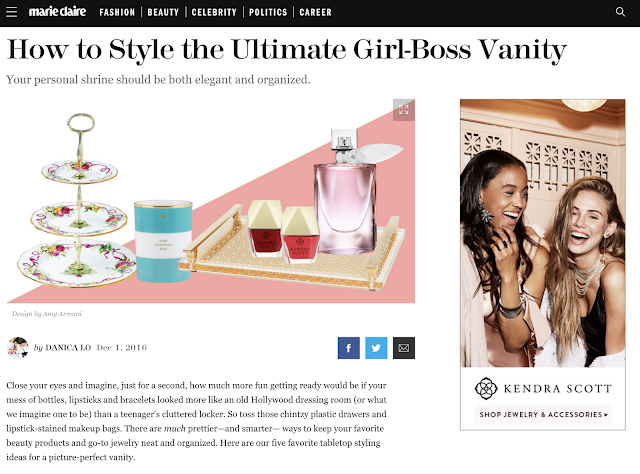 Just pubbed in Marie Claire — How to style your vanity. I've been thinking about getting a vanity for a while, though there's nowhere to put it in my apartment right now. I was watching Remi Ashten's closet tour the other day and she has this amazing set-up in her wardrobe room with a full-on Hollywood mirror-light combo from Impressions Vanity. Totally covetworthy.